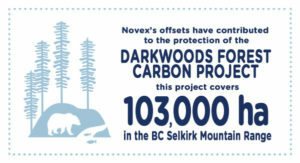 Novex is a carbon neutral company. 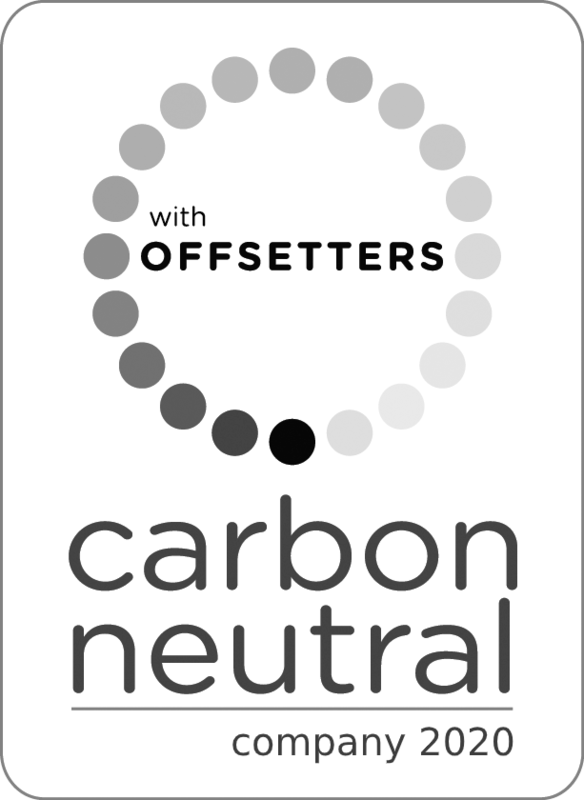 We work with Offsetters, Canada’s leading carbon management solutions provider, to understand our greenhouse gas emissions, reduce our environmental footprint and find a way to make a difference. We’re offsetting our emissions by contributing to a mix of offset projects that includes the Darkwoods Forest Carbon Project in south eastern BC that sequesters greenhouse gases from the atmosphere. In 2008, The Nature Conservancy of Canada (NCC) acquired this land from Pluto Darkwoods Corporation, a forestry company, with the objective of managing the land for ecological conservation objectives. NCC is operating the project as an Improved Forest Management carbon project, moving from a logging baseline scenario to a protected forest. The increase in carbon stocks over time is a result of the decrease in logging activities resulting from the new management scenario. Without offset funds, this project would not have been possible. Carbon finance was a significant part of budgeting both for acquisition financing and funding ongoing property management activities over 100 years. I wanted to tell the management team about what a wonderful job their employees are doing. I am impressed and very much satisfied by the fast and efficient service. The agents who pick up and drop off and the agents who take the orders on the phone – very informative indeed. I work for over 200 realtors as a receptionist and they have all kinds of requests and one mistake can mess up a lot of deals, as deadlines have to be made. I have dealt with other courier companies and I get shifted from one person to another and have to hold on the line for hours…I do not have that problem with Novex. Thank you for everything you do. Have a wonderful holiday and season’s greetings to you all. I cannot stress how grateful I am to the entire team at Novex for resolving my issue with such grace and overwhelming success. I am both pleased and privileged to do business with the Novex team. I wanted to write to tell you how happy we are using Novex. Café Etico and CoDevelopment Canada have been using Novex for years, and all of us have been impressed with the level of service we receive. Your drivers are all incredibly friendly, courteous, and efficient. They all smile and take our heavy coffee boxes without complaint at the same time as they go above and beyond by asking about any other packages they see to check if they are also for delivery. Your customer service staff have consistently impressed me, resolving any errors either made on my part or Novex’s (which have happened only rarely) quickly and without any hassle. So whatever you are doing, keep doing it, and we’ll keep sending out those packages. I wanted to write and let you know how exceptional Novex has been this year. Both the drivers and the customer service representatives have been a pleasure to work with and we’d like to thank them all for their excellent service! Thank you very much for taking the time to read this and please pass on our thanks to all of your staff. I just wanted to say thank you! The staff at Novex have been nothing short of amazing!! They are very accommodating, considerate and proactive. We receive exceptional service every time we use your company and I wanted to make sure that I let you know…THANKS SO MUCH! Seriously, you guys could have just delivered it and left it at that. It really means a lot to us that you took the time to call and ensure that everything was correct for the delivery location. Very much appreciated and I put in many good words to my manager about your company. Want to turn your passion for cycling or driving into a career? Novex is always looking for great new couriers! © 2019 Novex Courier. All rights reserved.